Manila rope is a natural fibre rope made from the abacá (Musa textilis) plant. It may also be referred to as ‘manila hemp’ although this is a misnomer as it is not made from the hemp plant. The fibres of abacá are strong, durable and flexible. It’s also resistant to damage by UV rays so can be left in direct sunlight. Manila rope will shrink if wet but won’t be degraded by salt water. 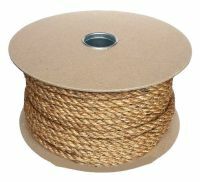 Browse the selection of products below, we supply manila rope by the reel, coil or as a length of rope cut to size to suit your needs. 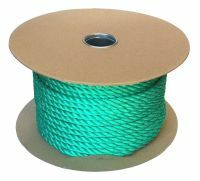 You’ll find thin and thick rope ranging between 6mm and 60mm in width and up to 220m long on a single coil or reel.